An alternate captain on the ice, and New Jersey Devils Movember team captain away from the rink for the month, Adam Henrique has been steadily ramping up his efforts to raise awareness and funds for men's health. Here’s no surprise: Adam Henrique is at the top of his Movember game. As an alternate captain for New Jersey, Henrique is committed to stepping up for his team every time he takes a shift. As captain of the Devils Movember initiative to promote men’s health, the 27-year-old is stepping up in a different, albeit equally impactful way. 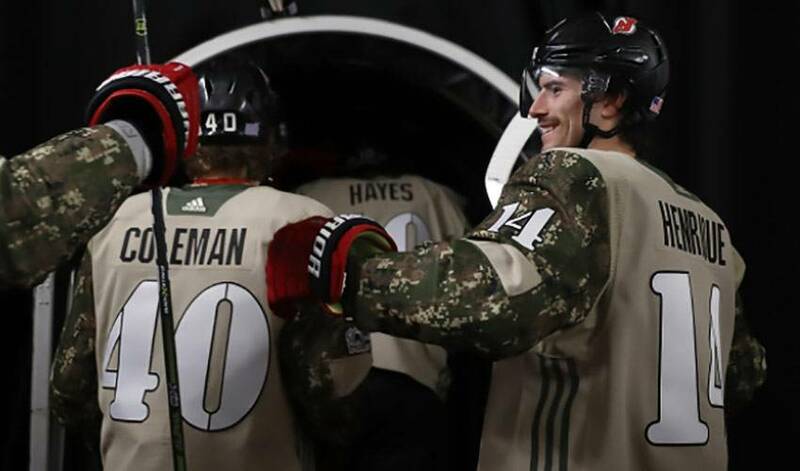 Henrique is part of an eight-man team – each player has their own Movember account – that is raising money and growing moustaches for the cause. The Metropolitan Division squad’s all-star lineup also features Brian Boyle, Jesper Bratt, Will Butcher, Blake Coleman, Jimmy Hayes, Nico Hischier and Miles Wood. A fundraiser for men's health issues, such as prostate cancer, testicular cancer, fitness and mental health, the Movember campaign began on November 1. Those who participate in the annual event start out the month clean-shaven and then put away their razors for 30 days. Henrique, who has the phrase “Mo Bro” sewn onto his skate tongue, has been a passionate supporter of the initiative since 2015. In less than two weeks, the veteran of nearly 450 NHL games will host his inaugural Rico's Soiree to benefit Movember. The event, which takes place in Hoboken, New Jersey on November 28 offers fans the chance to win prizes, meets and greets with Devils players and the opportunity to bid on shaving off Henrique's moustache. He’s excited – and battling a few butterflies – as the event draws closer. When he’s not busy helping the Devils keep their strong start to the season rolling, Henrique, who is also raising money through his own Movember-themed merchandise, can often be found on Twitter thanking fans for supporting the cause. As for which teammate he thinks will sport the best mustache by month’s end, Henrique has narrowed the field down to two. For more on Adam Henrique’s Movember efforts, visit: https://Mobro.co/ah14. In this week's Player Q&A, we learn that Adam Henrique has a sense of humour - and really likes fast cars.